The BESSEY WS-3+2K is designed to clamp work pieces together at a 90 degree angle. The pivoting jaw adjusts automatically to different thicknesses of wood. 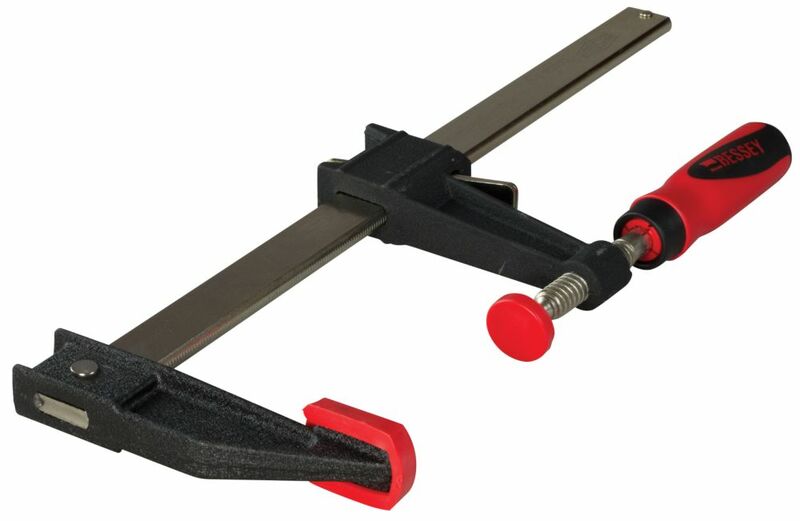 Comes standard with a pair of TK-6 table clamps to use when you want to clamp your WS-3+2K to a work surface. 36 Inch Clutch Style Bar Clamp with Composite Plastic Handle and 3-1/2 Inch Throat Depth The BESSEY clutch style clamps are a popular and economical clamp that can be used for a wide range of woodworking and DIY projects. The GSCC clamps are available in a choice of sizes from 6 In. to 36 In. clamping capacity. 36 Inch Clutch Style Bar Clamp with Composite Plastic Handle and 3-1/2 Inch Throat Depth is rated 4.7 out of 5 by 88. Rated 4 out of 5 by Ben from Good build quality, chrome bar unlikely to stain / mar... Good build quality, chrome bar unlikely to stain / mar projects like pipe clamps. Handle is in line with the threads (vs. being at a right angle) which means you don’t have as much leverage. This could be a problem for people with weaker hands or on stubborn jobs that need extra pressure. Rated 5 out of 5 by Bill from Nice clamp, good price. Nice clamp, good price. Rated 5 out of 5 by Eddie from Great tool to pull corners together on a 2x4 stud... Great tool to pull corners together on a 2x4 stud wall. Lots of pulling power.